Small hatches to hypercars in the spotlight - full picture gallery! As has become traditional on the eve of major European motor shows, the Volkswagen Group showcases its brands' major new production and concept cars to whet appetites before the main event itself. Paris 2014 has been no different with les Image des Marques demonstrating what's due over the coming years and months from the VW empire's portfolio of brands. What was abundantly clear was that CO2 emission reduction remains something the company is committed to - as evidenced by the plethora of plug-in hybrids debuting. But there was also a stark warning from Group Chairman Martin Winterkorn: there were financial and engineering constraints as to what the European car industry, including VW, could do, citing every 1g/km reduction in CO2 carried a 200 million Euro up-front research and development cost. While that will catch the ears of industry analysts, car buyers are more interested in what might tempt them into showrooms in 2015 and beyond. 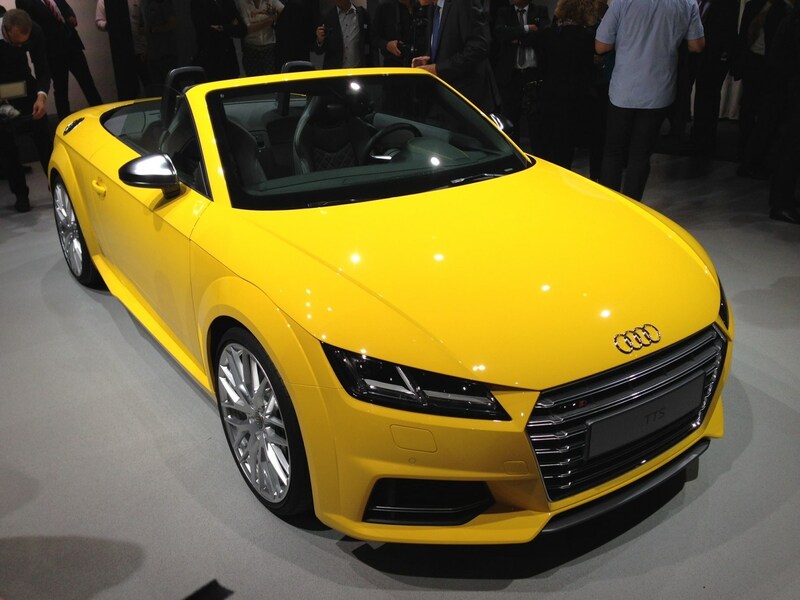 We've already previewed Audi's third generation TT Roadster, which shares the chiselled, tauter lines of its coupe sister which is about to go on sale in the UK. Despite confirmation of the Roadster's more powerful yet more efficient range of turbocharged petrol and Diesel engines, what really caught our eye was a fleeting glimpse of the TT Shooting Brake concept. Following a similar formula to the five-door transformation which resulted in the A5 Sportback, the TT Shooting Brake concept is powered by a 395bhp 2.0-litre TFSI engine, driving all four-wheels via an automatic S-tronic gearbox. Audi wouldn't be drawn on production plans but we'd be very surprised if there wasn't a showroom ready model displayed before the end of 2015. 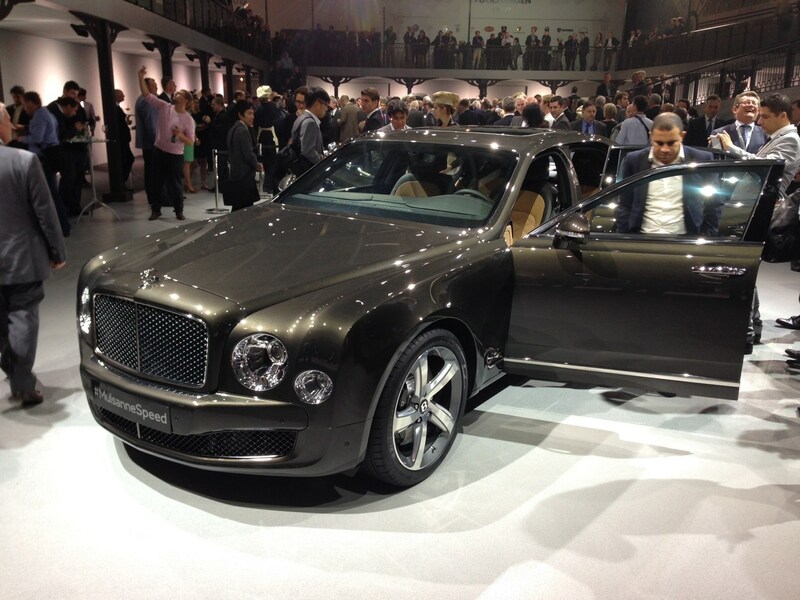 No all-new models from VW Group's British luxury brand but the flagship Mulsanne saloon range has been crowned with the introduction of the appropriately-named Speed model. Unashamedly aimed at the world's royalty, the Mulsanne Speed combines the finest craftsmanship with contemporary technology allowing those being chauffeured to enjoy a full infotainment suite. Should you wish to spend time behind the wheel yourself - and why not - you'll discover the uprated V8 engine now produces 530bhp and an astonishing 1,100Nm of torque. Based on the open-topped Veyron, the hypercar manufacturer unveiled the final of its 'Legends Series' special editions, this one dedicated to the company's founder himself, Ettore Bugatti. Finished in a distinctive two-tone colour scheme, the front being polished bare aluminium, the rear an inky blue carbon fibre, this very limited edition 1,184bhp monster signals the beginning of the end for the world's most expensive car. And if you need to ask how expensive, then clearly it's not for you. 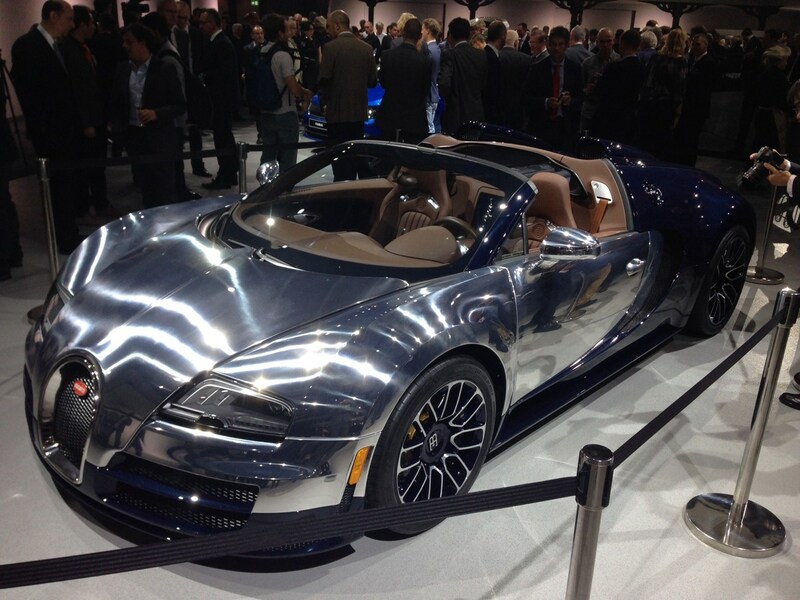 Outrageously irrelevant it may be, the Veyron will be sorely missed when production ends. 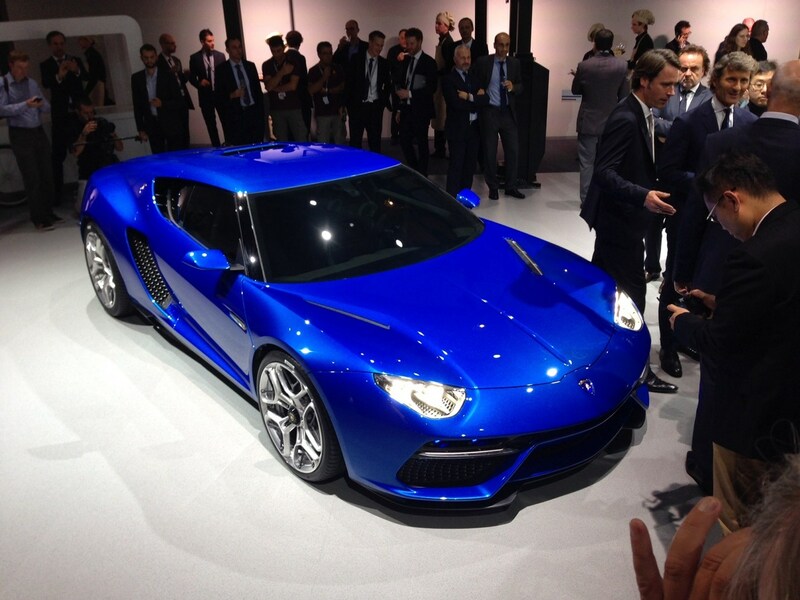 Looking more like an angular, American muscle car than an example of angular, Italian exotica, the Asterion concept is not just a departure styling-wise for Lamborghini, but also because of its power train. Yes, theres a satisfyingly bark from the V10 engine, but should you wish, the Asterion can also be driven in complete silence - it too is a plug-in hybrid, with three electric motors complementing the engine producing a combined 898bhp, yet astonishingly only emitting 98g/km of CO2. 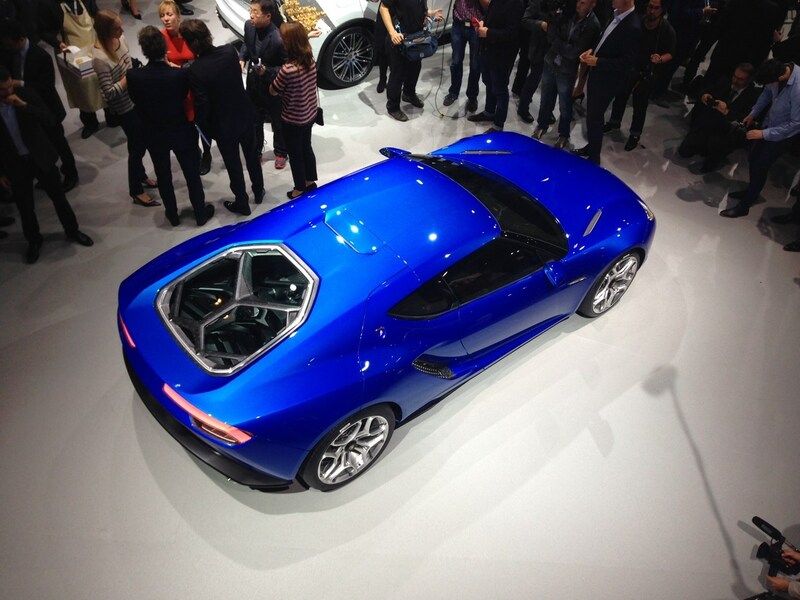 Whether a production Asterion comes to market looking exactly like this remains to be seen, but up close this version suggested it wouldn't be long before something very similar appeared in very exclusive showrooms. 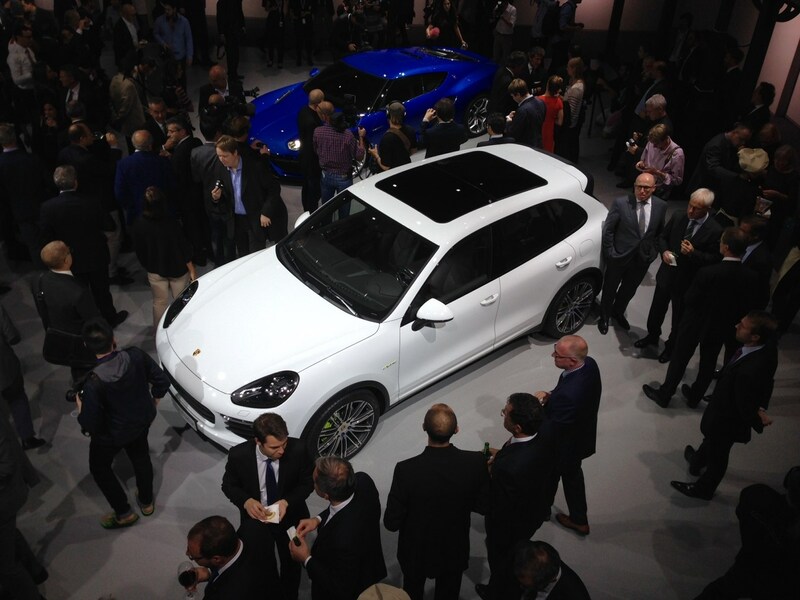 It was a fairly quiet show for Porsche, their biggest news being the third plug-in hybrid to join the brand's range after the 918 Spyder and Panamera S e-Hybrid, in the form of the recently-facelifted Cayenne. Also called S e-Hybrid, the large 4x4 features Porsche's signature lime green accents for its more environmentally-focused models, consolidated by technical specifications confirming the big Cayenne emits just 79g/km of CO2, less than many frugal city cars. 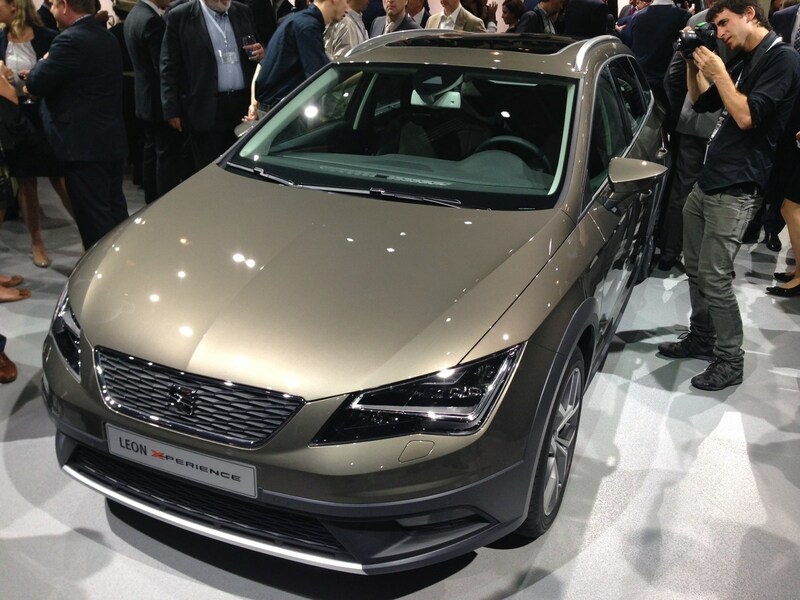 Another member of the very popular Leon family is SEAT's big news in Paris, with an off-road look applied to the ST estate. There's a new name too - X-Perience. Four-wheel drive is featured, so there's substance to the raised ride height and additional mouldings around the body to toughen up its appearance, although it self-evidently won't cross rugged terrain like a dedicated SUV. But if you like the idea of Skoda's Octavia Scout but fancy something with sportier overtones, the Leon X-Perience could be your next car. Talking of Skoda, it was the brand that kept the most grounded on the night, airing its third generation Fabia for the first time in public. 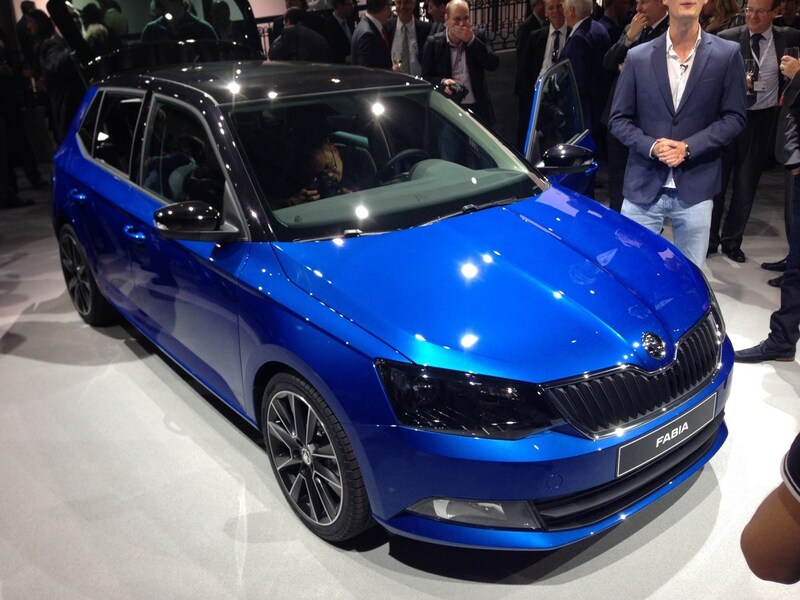 Still recognisably a Fabia, with sharper lines and creases are more like the original's than the model it replaces. The pert little five-door hatch is also the first model based on the Group's new small car platform that will eventually sire replacements for SEAT's Ibiza, VW's Polo and Audi's A1 range. Efficient petrol and diesel engines power the latest model but there's no word on a faster vRS model in the pipeline, so for the meantime the black or white roof option will have to satisfy those seeking a small, sporty-ish Skoda. Most relevant to new car buyers was the latest generation of VW Passat saloon and estates, joined at Paris with the plug-in hybrid (yes, another one) GTE model. Like the soon-to-be-launched Golf GTE, the Passat version features a petrol engine and an electric motor delivering a combined 215bhp, with a claimed range of over 620 miles on a single tank. 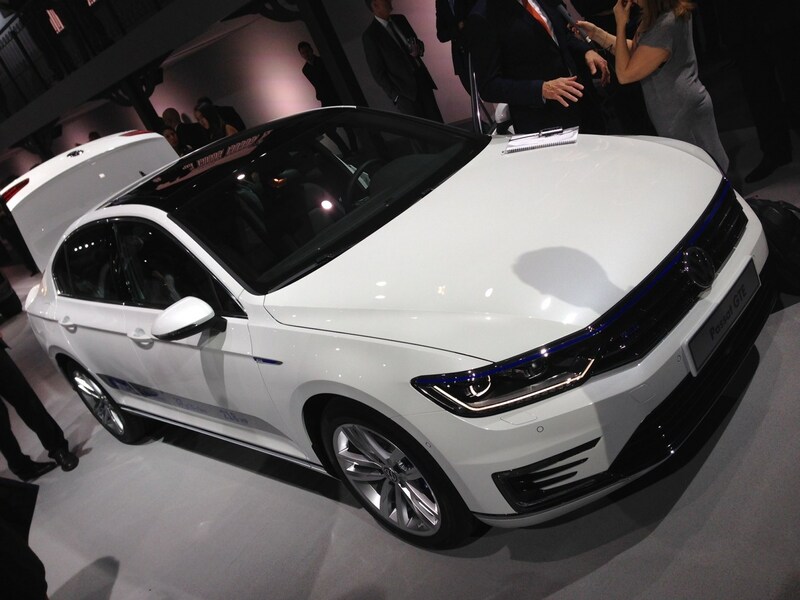 VW suggests the Passat GTE can also be driven up to 31 miles on pure electric power. GTE Passats are distinguished from their diesel-engined counterparts with blue exterior detailing, special badging an a flap on the grille hiding the socket for the charging plug. 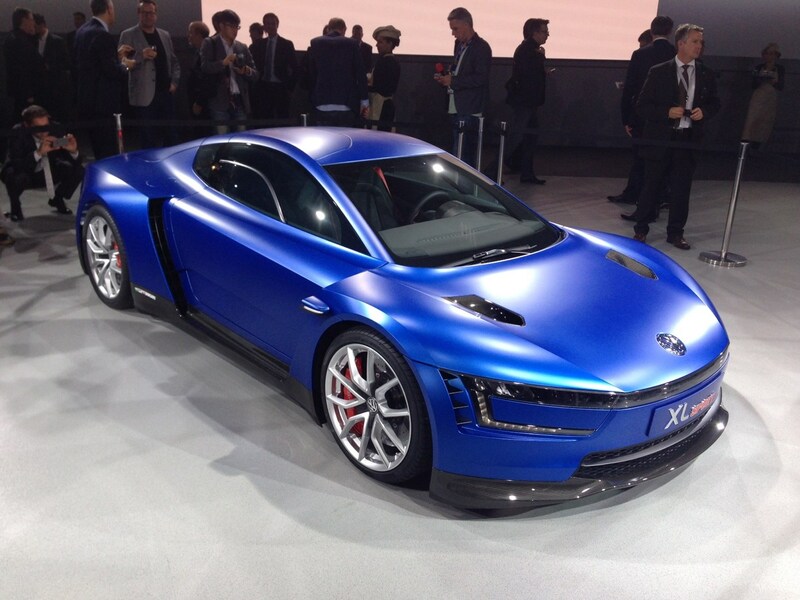 The final hybrid unveiled was the XL Sport, a longer, wider, higher performance version of the XL1. There's no doubt its design purity has been lost in the quest to make it faster, but more interesting is what's gone on under the skin where its tiny diesel engine's place has been usurped by a V2-cylinder Ducati motorcycle unit. Producing 197bhp it's enough to propel the XL Sport to 168mph. Officially its a concept car but with production of the XL1 drawing to a close in 2015, we wouldn't bet against this being the follow-up, albeit with a six-figure price tag. Finally, van fans were treated to a close inspection of the Tristar concept we recently reported on from Hanover. 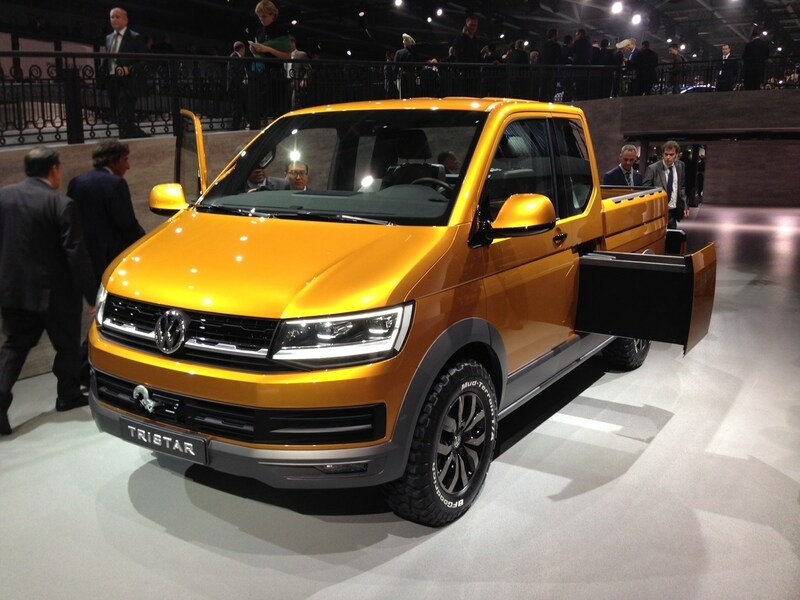 Although it's packed with motor show gimmicks we expect it previews the next generation of T6 Transporter van and Caravelle luxury people carries due in 2015.